Fast, secure, encrypted storage in a tough, tamper-evident case. MEET THE MOST RIGOROUS COMPLIANCE REQUIREMENTS Meet even the most stringent data storage and transport requirements via military-grade, AES 256-bit encryption that is handled at the hardware level and is FIPS 140-2 Level 3 Validated. And encryption implemented in Cipher Block Chaining (CBC) mode is activated every time the USB flash drive is in use. EASILY DEPLOY A FLEXIBLE, WORK-ANYWHERE SOLUTION IronKey F150 Flash Drives are compatible across multiple platforms without the need to install administrative software or drivers. Yet for those who need it, comprehensive central management is available and easy to use. STAND UP TO UNAUTHORIZED ACCESS Foil unauthorized users by requiring a strong, unique password to unlock data and applications. 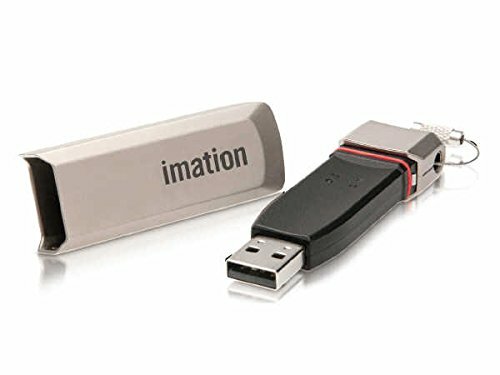 And the IronKey F150 Flash Drive's innovative tamper-resistant, lightweight magnesium alloy enclosure acts as an integral, water and dust resistant case. COLLABORATE SAFELY AND SECURELY WITH COLLEAGUES Use Imation SafeShare technology to allow users to collaborate using on-device data, but without compromising its security. OPTIMIZE USABILITY WITH MULTI-LANGUAGE SUPPORT Reduce help desk calls and streamline user experience with an intuitive user control panel available in nine languages.